We offer the perfect solution to freeing up some additional space in your home. Based in Essex, Wright Sheds Ltd has over 43 years' experience in designing and building bespoke outdoor extensions. Whether you need a home office, games room, music room, outdoor bar, creative studio, home gym or even an extra bedroom we have the solution that is right for you. A garden room is a stunning addition to your outdoor space and each project we work on is unique. 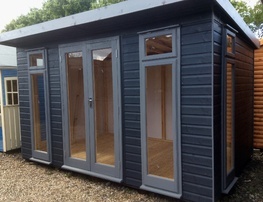 We build in a variety of styles, including studios and cabins and each of our designs can be customised. You can choose the size, shape and finish to suit you. As all of our projects are tailored to our clients, you can even choose where you want the windows and doors of your new home extension. As manufacturers, we cut out the middle man and supply you direct. This means a huge cost saving for you - our customer. 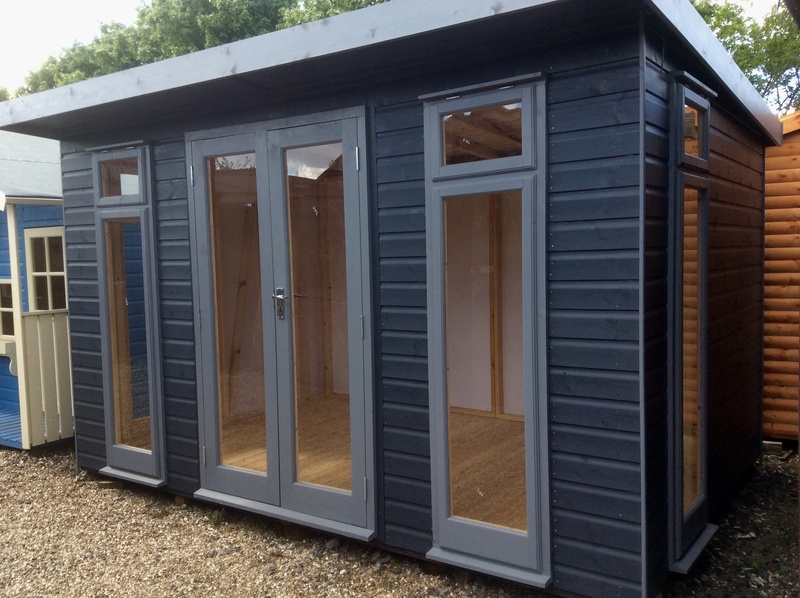 All of our garden rooms in Essex are built with top grade materials, like our Scandinavian redwood studio garden room, so you know you are getting the best materials at the best price. Not only this, but if you're Essex based we offer free delivery on all orders. With vast experience in designing and building bespoke outdoor extensions, Wright Sheds Ltd is a trusted company operating in Essex since 1985. Our expert team will work with you to create a unique building that is tailored to your specific needs. We offer free quotations on any job, so get in touch today and let us help you create the perfect garden room Essex for your outdoor space.